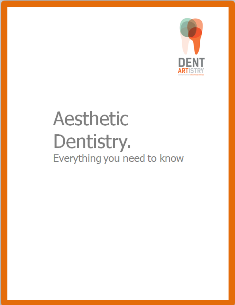 This e-book addresses the most common questions our patients ask about aesthetic dentistry. 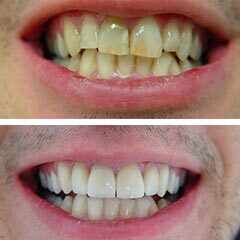 The techniques we are currently using in Dentistry to improve the aesthetics of your teeth and smile. 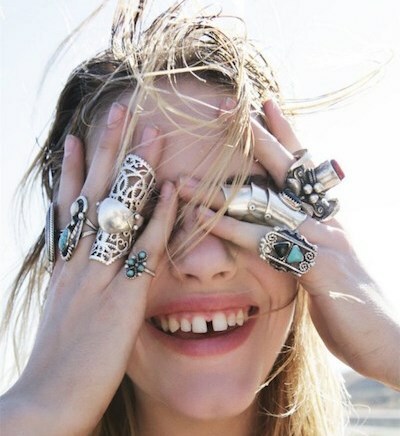 The treatment options for the most common smile aesthetic problems. You can download to read it later or share it with your friends on social media. Sometimes you may be happy with the result, some others you may not. 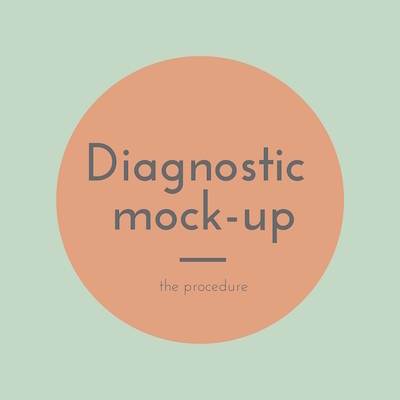 In any case, with the mock up procedure you will be able to locate what troubles you and ask your dentist to change it. The procedure can be repeated as many times as nesecary, until the desired outcome is reached. In case the changes do not satisfy your needs, then you may decide to change the treatment plan completely, choose for example orthodontic treatment instead of a cosmetic treatment or even decide that your original smile is better and you want to keep it. Although there may be a lot of different reasons for teeth to be darker than the rest, the most common problem when the discoloration is located in only one tooth is due to internal discolouration and pulp problems. Discoloration usually happens after a trauma or root canal treatment and is the result of the degradation of the blood products inside the pulp chamber. 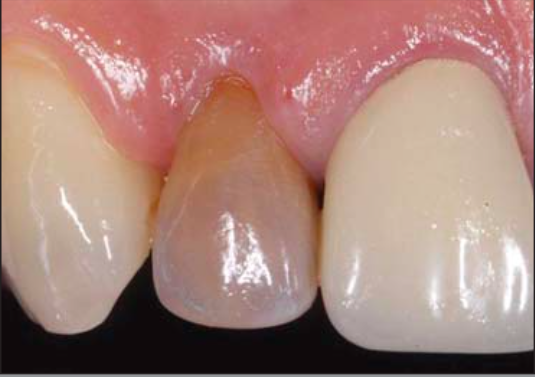 Enamel is affected by the degradation products and it changes its colour to brown, orange or dark gray. The problem may be noticed in both anterior or posterior teeth but the truth is our patients rarely care unless the tooth is located at the front of their mouth. 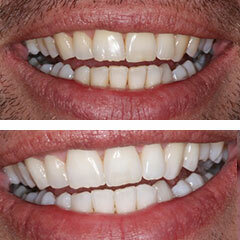 In DentArtistry, we offer both at home and in office whitening procedures. 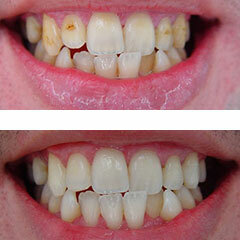 For in office whitening we use ZOOM whitening system. 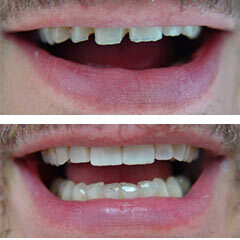 A specially designed lamp, activates the 25 percent hydrogen peroxide whitening gel that is placed over your teeth.